If you’re like me, you probably are trying to balance a lot of different things in your life and trying to make it all work to perfection. 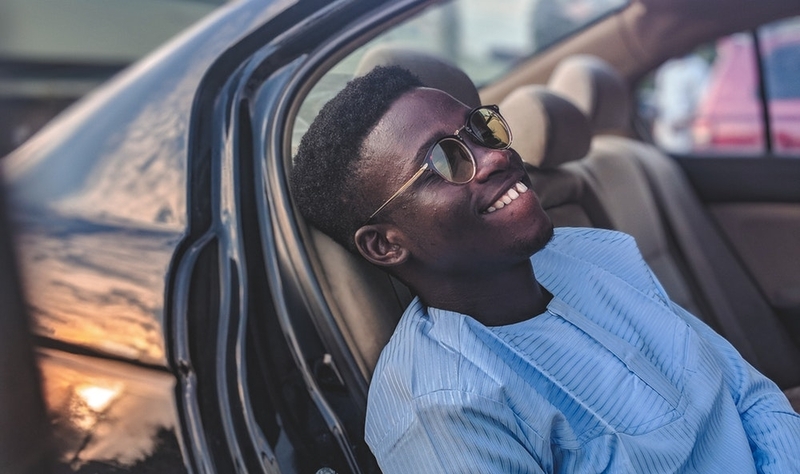 Whether you’re in your early 20s or you’ve hit that 30 mark, all of us are working towards some set of goals in life and the road to success can be a stressful one. Trying to make sure that everything goes the right way can have you overthinking and staying up late in your own thoughts. Taking time to access certain situations is very necessary, but worrying about them does not get your goals accomplished at the end of the day. Life is too short to be worried about things that simply can’t be solved by overthinking. 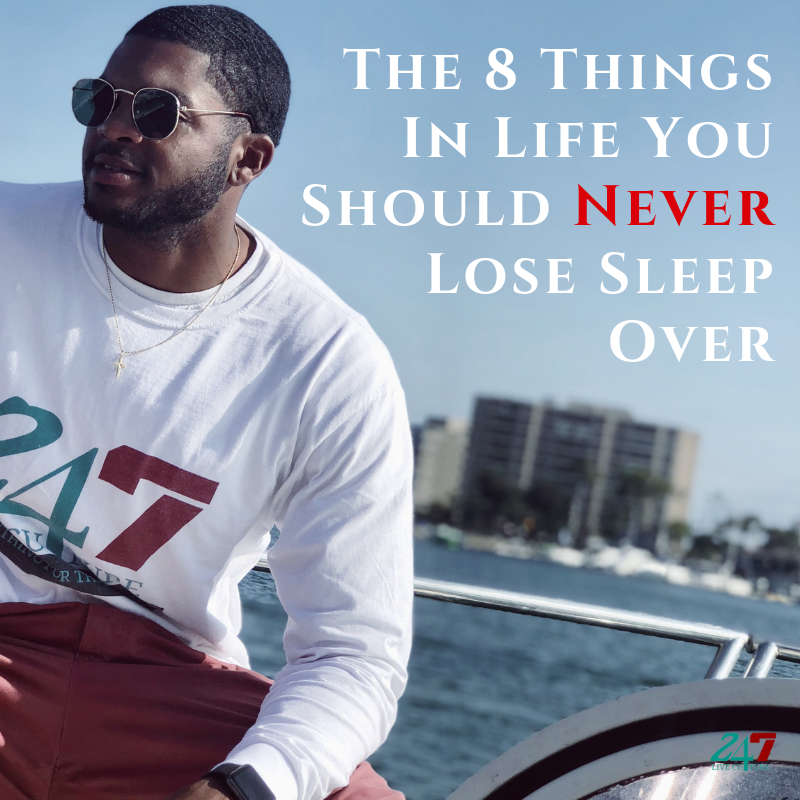 I want you guys to be successful and live stress free no matter the situation, so here is a list of things you should never lose sleep over! There are many aspects of relationships that can leave you stressed and overthinking if you allow yourself to do that. Questions may arise like “Am I with my soulmate?” “Will I ever find the right person?” “What if this person cheats on me?” Questioning your relationship and what happens in the relationship is more common than you think and you’re not the only that’s doing it. Relationships play a big role in our life, but they are definitely nothing you should lose sleep over. If you’re questioning if a person is the right person for you, there’s a good chance that they’re not. When the right person comes along, you will fill that in your spirit, they will bring you peace. If you’re worried about your partner cheating on you, don’t. There’s nothing in this world you can do to stop a person from doing what they want to do, period. If a person has cheated on you in the past, they’ve already shown you they’re disloyal and you’re bringing worry onto yourself by keeping that energy around you. You make the conscious decision to be with the person you’re with, so the best way to go is to choose happiness and give that person your trust. Stop overthinking and just be happy with the person you’re with. It’s hard to say you shouldn’t worry about finances but you shouldn’t. You should express your financial concerns and have a financial strategy in place no doubt, but worrying over your financial situation does not produce income for you. That same energy you use worrying about where the next check will come from or how I will pay my bills, you could put into yourself and your own creative abilities and figure out a plan. Think more and worry less. Everyone needs finances, we all have bills, and we all want a larger income. Money can make a lot of things better in your life, but stressing over how it will come to you will drain the joy that you have for your life. Appreciate what you have, focus on your goals, and live in the moment. Your hard work, and persistence will put you in a better financial situation. Living in the past and thinking about what could have been, or what you could have done better will cause you to be stagnant. You should reflect on your past and take the lessons that came with those experiences, but never spend too much time thinking about what used to be. Accept what is, and move forward. There’s literally nothing you can do about what happened yesterday. But you woke up today, which means you have a present and a future and that’s where your attention needs to be. We should always be in a progressive state. Free yourself of your regrets, and understand that today can be better than your yesterday if you allow yourself to move on. The last thing you should do is spend too much time worrying about what people think of you. Being yourself, your true authentic self is really all that matters. The right people will gravitate towards you, especially if you generate good vibes and good energy. Don’t spend too much time worrying about the perfect picture or caption. People will like you for you. There’s a whole lot of other important things in life that need your attention rather than focusing on opinions that really don’t matter at the end of the day. Live your life the way you want to! Rejection is inevitable in life and every single person on this earth experiences it in one form or another. Think about how many times you’ve heard NO in your life. Did that rejection really derail you in any way? Think of rejection as an opportunity for something better to come along. That “no” in that moment was just making way for the right thing to make its way into your life. Don’t stress over an interview or audition thinking about the negative aspect of what could happen and just do what you do. The right opportunities will attract you, just keep shooting your shot and shoot til you make it! We should all strive for perfection and set the bar high in anything that we’re doing, but we should never stress if it doesn’t look exactly how we want it. One of the best tools you have in this life is your own effort. If you put in the work for whatever it is you’re doing, you should be satisfied with whatever comes with it. Sometimes our standards can be the cause of our stress. If you set your goals high, anything short of that will still be successful. Just keep going and build on your mistakes. The only thing you should be worried about is if you’re making the same mistakes over an over without correcting them. Change can be extremely tough to deal with especially if we’re used to a certain lifestyle or certain way of doing things, but change is inevitable. What you see now will not always be. The world is changing every second of the day and there’s nothing you can do about that. One day I was sitting in my hotel room watching the cars drive by outside the window, thinking, where are all these people going? As the cars kept zooming by, it made me realize just how fast this world is really moving and you have to be able to keep up and adapt. Successful people know how to adapt to any situation and any environment, and the one’s that get left behind are the people who are stuck in their ways. Don’t worry about the change, just embrace it and make it work for you. Be a trendsetter and change the world for the better. Black women are naturally expected to handle things and emotions differently than other women. However, it is very much okay be emotional! Release those feelings, dust yourself off and grow from whatever it is so you can do better! As you grow older finding time for yourself becomes more of a challenge, but nothing in life should be more important than the state of your mental health! Making yourself a priority and practicing self care is necessary to change your life for the better!